Living together in harmony, in collaboration and in true appreciation are the cornerstones and foundations to having true relationships – relationships that continually deepen, grow and expand, responding to an energetic pull and a purpose that knows there is more to who we are that is beyond this earthly plane. This way of living together with one another in life is a way of being that continually questions and asks, “what’s next?” It is never settled with ‘this is good enough’ or ‘this is as good as it gets’. It is a way of approaching life that understands we all have an enormous responsibility to live into the potential of who we are, giving validity to the place of truth within each of us that knows without any doubt there is more to life than this; that there is a magnificence and grandness to who we are and what we’re here for that belies beyond compare the model of life we are sold as being ‘it’. If we didn’t know there was more, there wouldn’t be so much misery and disappointment in the world. The fact is we do know it, and not living it is devastating us. This is the unsettlement that wreaks havoc in life, in our societies and in relationships. So how do we each make the first step to this grandness being our way when almost everything around us shows the opposite, or versions of living that are content with having a ‘happy’ or ‘good’ life? We can start by acknowledging, being honest about and voicing our own discontent – taking off the veil of our own illusion that only serves to mask the despondency we feel and admitting to ourselves that ‘this doesn’t feel like it’. Whilst at this early stage we may not as yet have a clear grasp on what it is, when we observe the world with eyes wide open to the truth, what we do know is that ‘this’ isn’t it. Every time another person arrives at this place in themselves, allowing the space to be more present and conscious with the deeper reflections of life that become more ‘visible’ without curbing or trying to shut them down, the revelations about life, people and relationships that can be accessed through this greater awareness provide all the guidance and true support that is needed to know the next step and the next, and the next. What we do with these navigating impulses is entirely up to us and our steadiness and alignment with the truth we’re being shown. If we simply consider as a starting point what level of harmony we are living within our own bodies, what level of collaboration we are open to with others, and whether or not we bring any true appreciation into our life, be it with ourselves or others, and from there consider the consequences of how a lacking in any of these areas inhibits our natural expansion and evolution in relationships, this contemplation itself will reveal much by way of where to ‘begin’. When we are held by the lie of living and remaining less than who we are it impedes and suppresses the level of love we will allow ourselves to know, and hinders our connection to the truth of our greater purpose here on earth. When we bring this commitment into relationships with everyone we meet, the face of how we relate becomes very different, there is an openness rather than protection, there is honesty instead of lies, there is true intimacy rather than false niceness, there is love rather than harm, and there is truth rather than illusion. Relationships here on earth need an overhaul – there is no question about it; and it is for every single one of us to respond to that call. We come to this by igniting our own unique expression of the truth that echoes again and again the message that we are here to live without harm and move towards a way of living that is in harmony, in genuine collaboration and in true appreciation, opening ourselves up to the depth of love that we are originally from and always returning to. 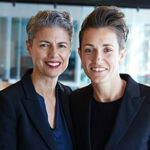 Annette Baker and Gabrielle Caplice work together as Relationship Counsellors. Previously they each spent 3 decades working in the Hospitality Industry leading small and large teams of people from all walks of life and diverse backgrounds. Their love of people and understanding the truth about life naturally transitioned their work into the area of health and well-being; working with families, businesses, couples, singles, adults and children. 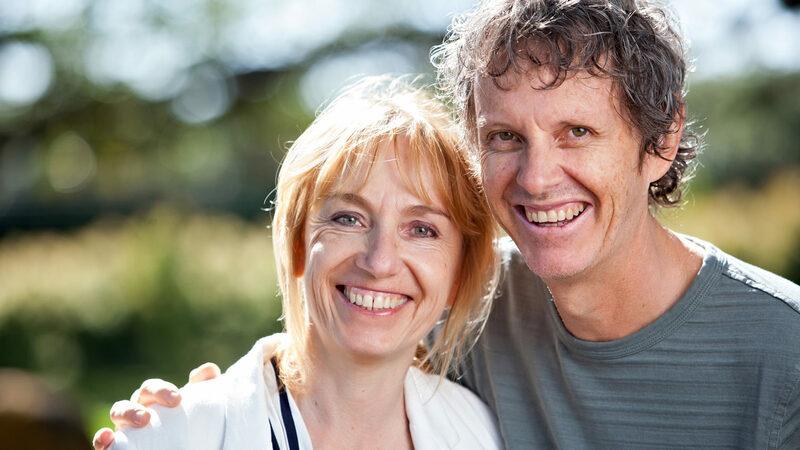 Annette and Gabe have always had a love for relationships, and their commitment and dedication is to supporting and helping others to bring the most honest and truest part of themselves to every relationship in life.